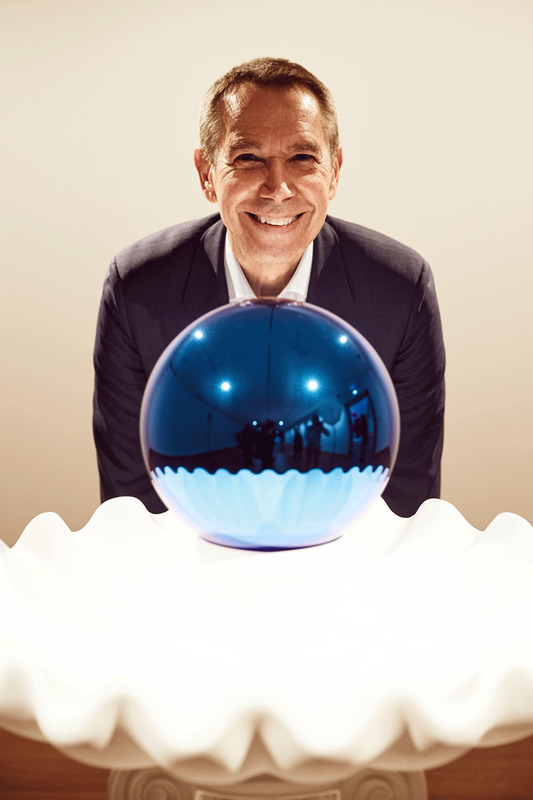 The US artist Jeff Koons says he has downsized his studio, laying off three quarters of his painting assistants last month, so his sculpture department “can become more of a think tank” to explore different materials. Speaking at the opening of his exhibition at the Ashmolean Museum in Oxford yesterday (5 February), Koons says he is moving into more automated ways of working, programming his sculptures in-house but outsourcing their manufacturing. Koons runs a stone workshop in Morrisville, Pennsylvania, where 12 computer-operated machines do most of the carving for him. “My work has become more based in 3D, in computer data, in the engineering and reverse engineering of that data. That’s how I was able to make this balloon Venus,” he says, pointing to an enormous magenta steel sculpture, a pneumatic Venus of Willendorf for the contemporary age. The process is laborious, undertaken by an in-house team of programmers and involving cat scans of specially designed balloons, which are then engineered and reverse engineered. “It takes a lot of time, but it means works can be manufactured off-site with a precision that couldn’t be achieved otherwise,” Koons says. Does he care that he never touches his own sculptures? “This way I can be more responsible for every thousandth of a millimetre of a work,” he says. When he first started out making art in the 1980s, funding his work as a Wall Street commodities broker, Koons says he produced the pieces himself. “But then I started to work with fabricators in Europe and different locations,” he says. Until the late 1990s, most of his large-scale pieces, including his Banality (1988) and Celebration (1995-98) series were outsourced to manufacturing companies. That changed in around 2003, Koons says. “I ran into a point with my Popeye work where I couldn’t find anybody to give me the finishes of the aluminium sculptures the way I wanted them. So I brought everything in-house,” he says. Last month, Koons moved from Chelsea to a smaller studio in the Hudson Yards neighbourhood of New York City. The move triggered a slew of redundancies, the fourth round since 2015. Koons rebuts claims that he is a perfectionist, but says the impeccable finish he strives for is so he can “communicate as precisely as possible with the viewer”.